Sometimes I get sad when I think I'll have to leave Tucson when I finish grad school. Sometimes I'll be living a moment and I'll say to myself "You're going to really miss this and look back on it nostalgically when you are gone". 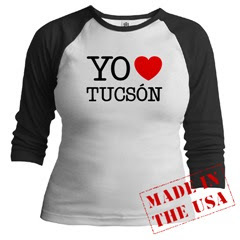 Last week while I was walking Frida it dawned on me: Tucson is my first real home. When I was a kid home was rough, I was usually looking for a way out. Immediately after high school I got married - that marriage and home didn't work out so great either. When I moved to Chicago I lived alone in a studio: it was a base, but once again, it didn't quite qualify as a home. Now - for the first time - my partner, our dog, our turtle (and his fish) have a functional little family in a wee apartment that we don't even own, but it's the first home I've ever had and I am really, really thankful for it. Stop it, you're making me cry. I love our home, but i'm pretty sure Frida will be happy anywhere we are (especially if there are no hummingbirds). this post made me sad too. what do you call the sadness you feel for the nostalgia you will experience in the future? is it pre-suadade? Really beautifully said, Eva. And I know exactly where you mean. Just remember your more recent post and know that wherever you go, you'll always be 'near at hand'. There's divinity in lots of places. If you know who you are and what you love, you'll do just fine. Plus, Tucson'll always be there for visits and such.